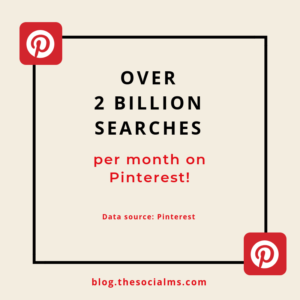 Why is the Pinterest search of so much importance for marketing success and blog traffic when Pinterest is a social media platform? For many bloggers Pinterest has been the answer to all their traffic problems and the on traffic source that brought success. On the other hand, Pinterest still seems to be one of the most underutilized (social) platforms in the marketing hemisphere. Some huge marketing influencers are not even on Pinterest, or have more or less given up on gaining much from it. 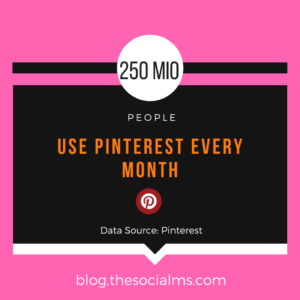 And that is despite the fact that Pinterest has over 250 Mio. active users per month. Because Pinterest is not so much of a social platform – there are basically no conversations or engagement happening on Pinterest – and much more of a search engine. Over 2 billion searches are performed on Pinterest every month! Trying to apply the usual (social media marketing) methods on Pinterest will most likely result in utter frustration and the results will in no way justify the effort put into the platform. And that is when the Pinterest search comes into the game. Understanding how Pinterest works and how you can promote content, products and services on Pinterest means you have to understand how Pinterest search works, how Pinterest search influences all visibility of pins on Pinterest and how you can can perform Pinterest SEO to rank your pins in Pinterest search. This is the most common place that people visit on Pinterest. It is the place where from your experience on other social networks you expect the content from the people you follow to show up mixed up with some ad content. On Pinterest that is a little different. From this, Pinterest chooses which pins to show in your feed. More popular pins are more likely to show up often in other peoples’ feeds. Who people follow is only a small factor in the complex Pinterest feed algorithm. 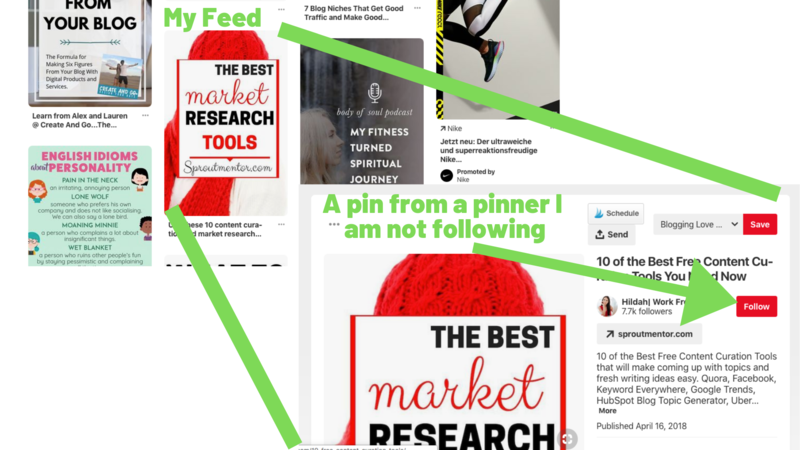 It is highly likely that Pinterest shows you pins in your feed they think are relevant to you no matter if you follow the pinner or not. The influence of Pinterest search and Pinterest SEO on the smart feed is more indirect: You want Pinterest to understand what your pin is about and what it is closely related to. Your pin has a huge chance to show in someone’s pin if it ranks in a search for a related keyword. Pinterest has a special feed where only content from the people you follow is shown. This feed is more likely to show pins that have recently been pinned by the people you follow. But there is still an algorithm at work that decides which of the many pins the people you follow recently pinned is shown in this feed. For this feed, the popularity (number of followers and the number of repins you get) of your account and your pins is much more important than search. But… the popularity of pins is again influenced by Pinterest search rankings. Now, here is where the power lies hidden. If you rank for popular searches on Pinterest you not only get traffic from searches performed directly on Pinterest. You can also get some traffic indirectly from Google search. Because Pinterest search results will rank fairly high for some searches on Google as well. So, how can you rank in the search on Pinterest? And how can you find keywords that you want to rank for? 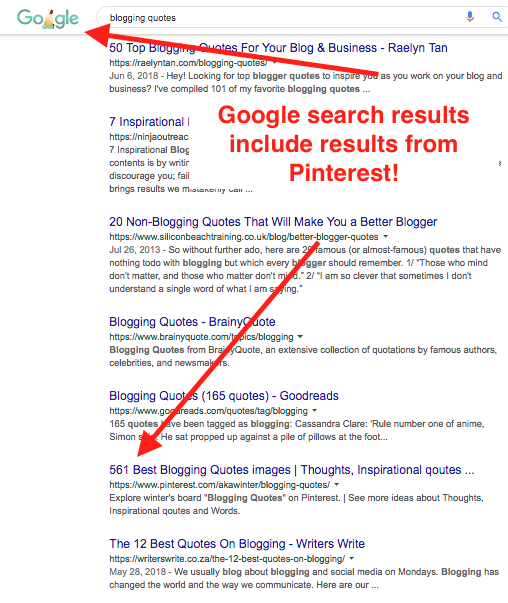 Contrary to Google SEO for Pinterest SEO you do not have to build links. Instead what counts are repins and pins of a given pin image. A pin with a ton of repins that uses the right keywords will rank high in the search results on Pinterest for this keyword. To find the best keywords is totally up to you. The easiest way to find good (longtail) keywords for Pinterest is to use the Pinterest search bar. 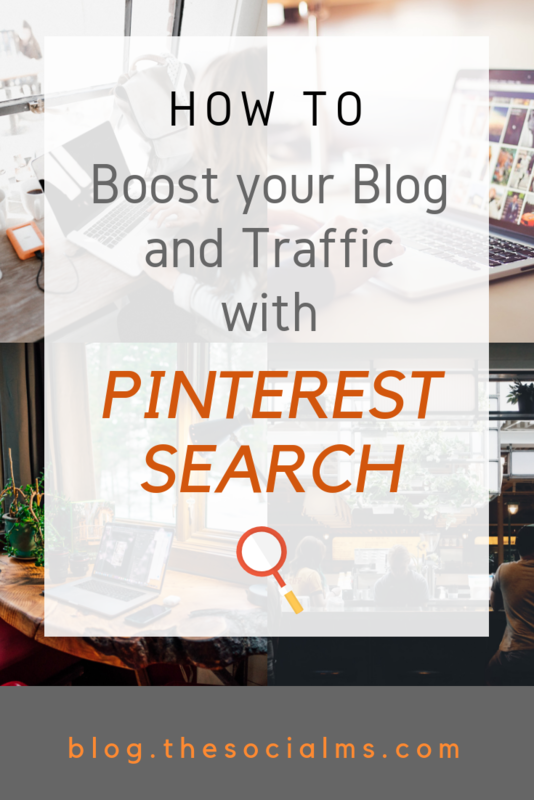 When you searched for a keyword on Pinterest, Pinterest gives you a couple of related keyword extensions and longtail keywords that people search for on Pinterest. Between the search bar and the search results, you can choose from other popular searches on Pinterest. For your cornerstone keywords, you should consider also using the keywords in your profile bio. Plus, you should even consider using some relevant keywords in your account name. For a while hashtags were not relevant on Pinterest. Since October 2017 they are back on. Since then you can get a list of results for every hashtag you can imagine. The results in the hashtag “feed” are most recent on top. That means a “new” pin with a certain hashtag will show up higher in the hashtag feed than an older pin that was pinned a while ago. People can search for hashtags or simply click on the hashtag to get to the feed. Your pin shows up on all boards that you pinned it to – and on the boards other people pinned it to. Your pin can also show in the feed of people following the board. The board name and the description of the board also ads to the Pinterest search results. The more on-topic the boards are that your pin was pinned to the more relevant to this topic this pin looks to Pinterest. Since people can not only search for pins on Pinterest but they can also search for Pinterest boards, you need to make sure that your boards have a clear focus to give the boards a chance to rank for relevant keywords. …and the feeds that show pins at least partially based on the search results. For you that means that to rank high in Pinterest search the number of repins and pins you got for a pin is far more important than the number of followers you have. 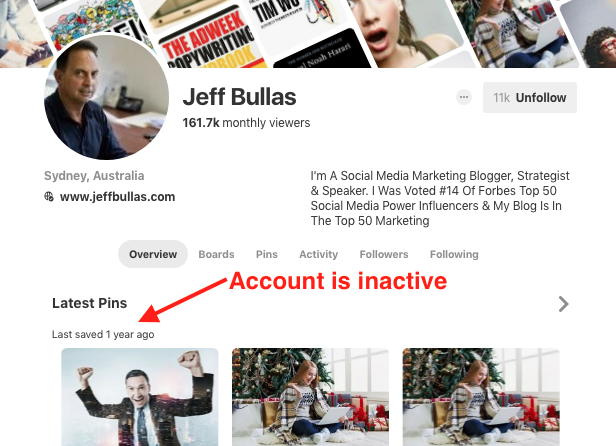 Instead of focusing on getting more followers/fans as people are used to from Twitter or Facebook, on Pinterest you should focus on getting repins for your pins. Group boards: Group boards are boards that allow a group of people to pin to this board. These group boards come with a number of followers that is independent of your own followers. You have to apply with the group owner to become a contributor. You should choose on topic group boards that are active and have a fair number of followers. Here is how to get the most out of your group board efforts. Tailwind tribes: Tailwind is a Pinterest Scheduling tool. In addition to the scheduling features, Tailwind also offers tribes. Tribes are a kind of group where people “trade” pins for pins. If you pin some pins from the tribe you are allowed to add some pins from your own website for other members of the tribe to see – and pin in exchange for a chance to add their own pins to the tribe. – Choose your tribes with care, stay on topic and join active tribes. If a tribe does not give you any repins, you need to reconsider your pins or the tribes you join. Facebook groups: There are also entrepreneurial Facebook groups where you are allowed to add your pins and ask people to repin them – in exchange for some repins from you whenever someone else shares a pin that is relevant to your audience. You can also repin your own content and keep it alive on Pinterest. And that is what most people are afraid of. It is ok to pin your content more than once! You can easily repin it to all your other boards it may fit. And you can pin the pins again after a while – just make sure that your pin activity does not just include pinning one boring pin over and over again. Have a healthy mix of various pins. 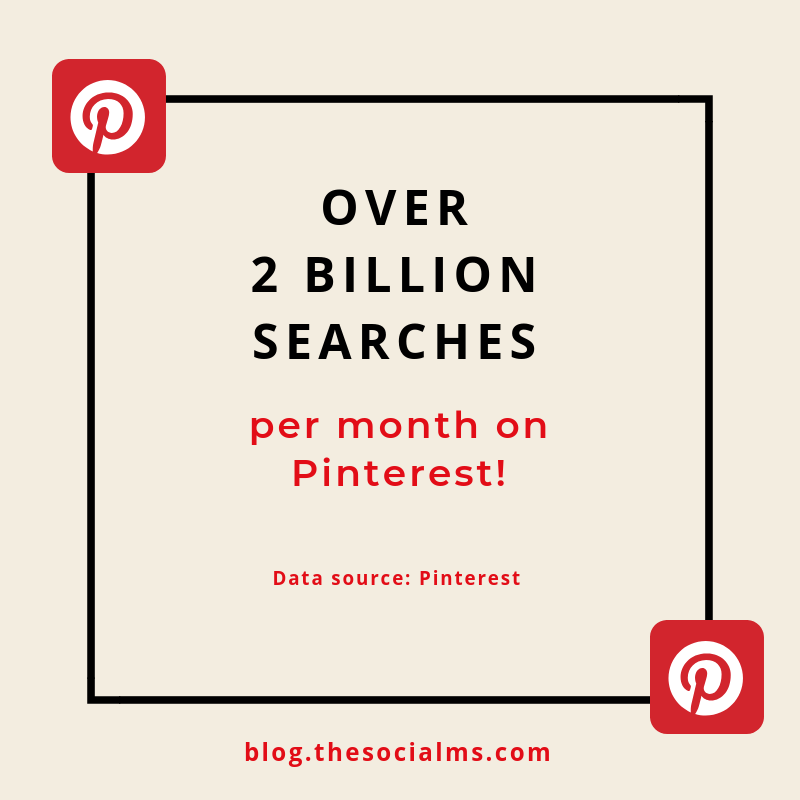 Follow the tips from this article and your pins will become more popular in Pinterest search and your traffic will increase tremendously!